Happy Friday, Y’all. Way to make it! I usually try to space my Fun Foto Fridays out to once every few months… but the good/funny times were rolling quickly and I wanted to log in my pics before they got too many to post! Ya dig? As always, there is a loose theme running through the photos… travel, products, tomatoes… Tomatoes? For whatever reason, there are several tomato pictures in this batch of pictures. You know they’ve been on my brain… BUT ANYWAYS, on with the fotos! This first picture is a remnant from my trip home to Georgia. While my sister and her beautiful family were visiting from Seattle, we had the honor of spending the loveliest day in the countryside with my amazing Aunt Jane. There were boutique chickens, Capri Suns with Oatmeal Crème cookies, rock-sliding for the twins, and explorative, barefoot, river wading. The weather was warm and perfect and it truly was one of the stand out days of the summer. 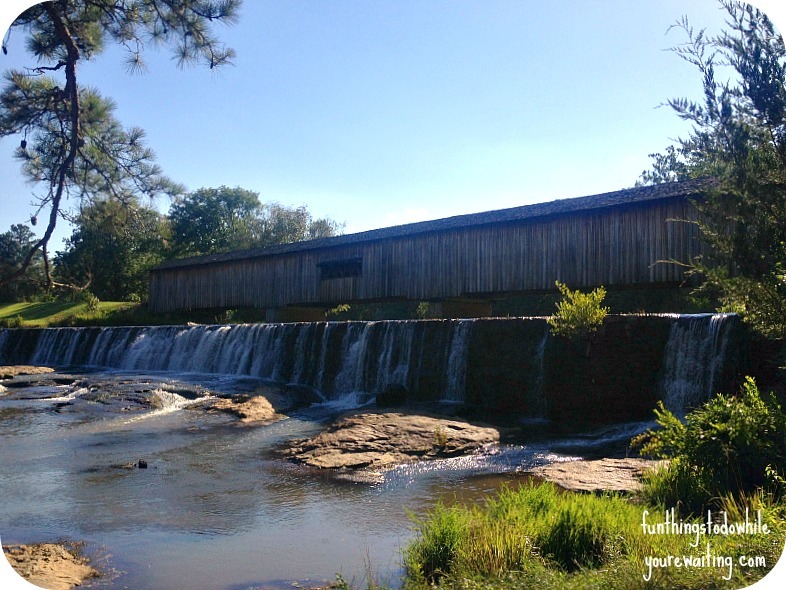 The day culminated in a trip to the Watson Mill Bridge State Park in beautiful, northeast Georgia. The bridge is still drive-able and not purely decoration, so that was an added bonus. As I was having such a wonderful time being an aunt with my sister’s children, it was so wonderful to be able to spend the day with MY aunt! I have some pretty amazing ones, not to brag… Okay… I’m totally bragging. 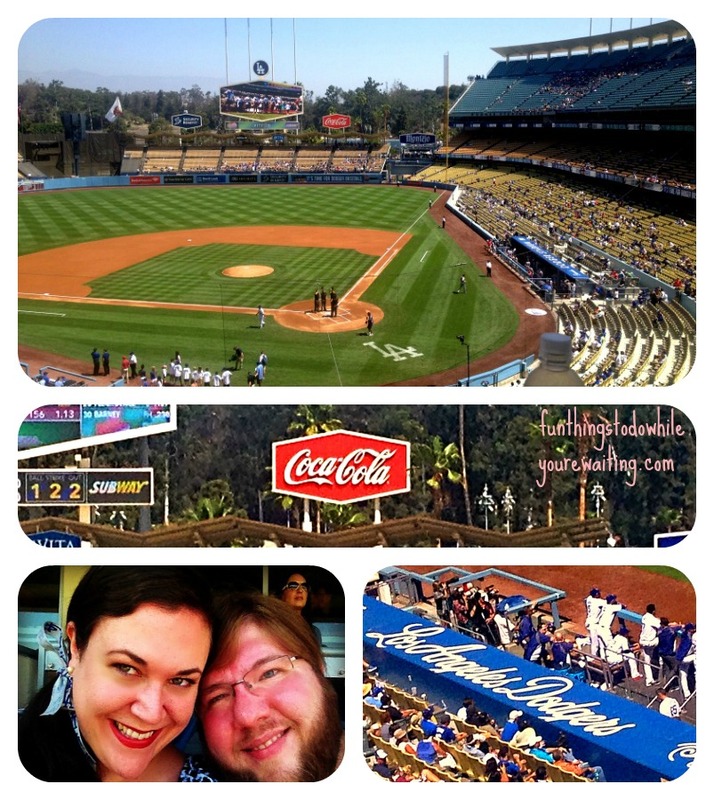 Another recent summer adventure I had was my recent trip to a Los Angeles Dodgers Game with Josh. His company has a redonkulous suite (I mean, I’ve never had dessert cart service at a baseball game) and preemo parking, so it was one of those magical days. Plus, it’s always nice to attend a game when the two teams are tied for post season games. The Braves. The Cubs/Sox. It is always important to root root root for the home team, so it was nice to be able to go. Unfortunately, I’ve been spoiled and now will never be able to watch baseball again without unlimited beer/food, ergonomic, mesh office chairs behind home plate, and curbside parking. ATL representin’ with that Coke sign, though… “and the home… of thuh… Braves.” But, Congrats Dodgers for clinching the NLW! 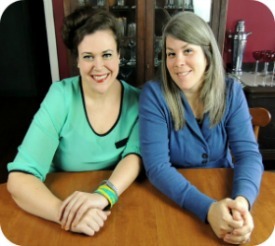 I also recently went to the fabric district with my super friend Julie- she of the awesome hair cut. The fabric/garment district of Los Angeles is prett-e-wild. Almost a little overwhelming. Tons of vendors. Tons of people. And it stretches for blocks and blocks. It’s a great resource for the crafty. While there, this epic display from a perfumery caught my eye. I wish I’d gotten a better picture for perspective, but all these bottles are magnum, promotional-sized. 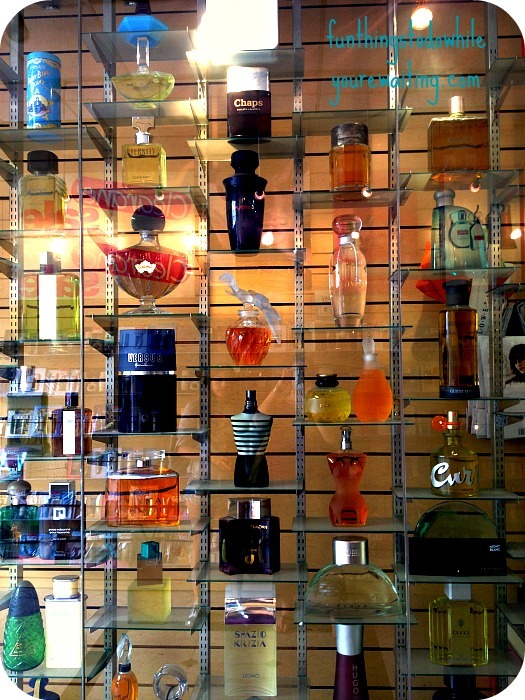 The entire display from floor to ceiling was a gi-nor-mous bottled perfume collection. And it was a collection with each being at least a foot and a half tall. Someone worked at getting these together. Hey! Look! It’s Goon Central! Finally! A good picture! While in Van Nyes just the other day, I saw/snapped the following while safely stopped at a stop light. Not great. Not good. OK. Why not double down and call it “Meh Chinese Food”. Though, upon further research, this play does score 3.5/5 stars on Yelp… so, there you go. Also, Van Nyes, if you aren’t familiar, is apparently the low-price, flooring district of the Los Angeles area. And since no Fun Foto Friday would be complete without a ridiculous license plate (or tag frame) here is one that I also spotted on my trip to Van Nyes. I have no judgment. 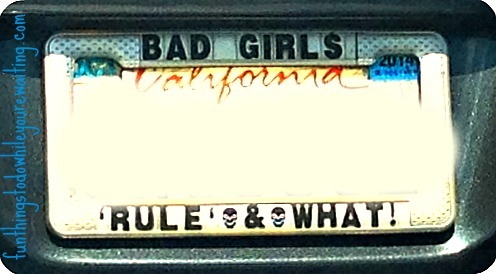 This plate frame just asks more questions than it answers. Bad Girl$ ‘Rule’ *skull* & *skull* what! Bad Girl$ ‘Rule’ and what (explanation point). And why is ‘rule’ in quotations? The world may never know. This mug is actually an inside joke between me and my brother. 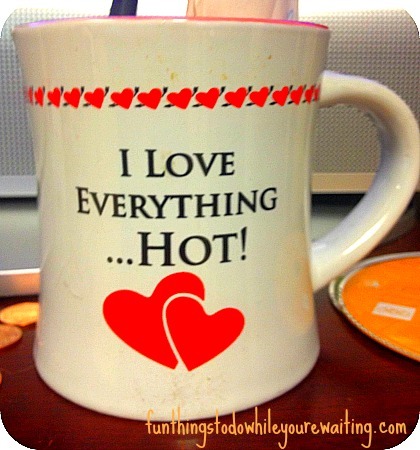 I just wanted to make sure that there was photographic proof somewhere on the interwebs that this mug existed. Speaking of “pics or it didn’t happen” here is a candle that I recently found at Rite Aid. I couldn’t NOT leave the store without it. Yep. An Entenmann’s Butter Pound Cake Candle. You know we love candles here on FTTDWYW, so, really… I was doing it for the website… for science, you know? For the record, it was alright. I don’t know that I really need my apartment smelling like pound cake… but it was fun scent for the candle rotation. Two things on my ‘favorites list’ are grocery chain Trader Joe’s and Amy’s organic frozen meals. One of my favorite Amy’s meal is their Pesto Tortellini Bowl. And you guys KNOW how we feel about pesto around here. When Josh and I go to the California/Nevada chain grocery store, Von’s, I regularly pick up a pesto bowl just to have on hand. Which is why I thought it was funny, when I saw a familiar looking box at Trader Joe’s shortly following our regular grocery trip. I bought it to bring home for comparison. You know how you can buy Girl Scout Cookies all year round? That even though they are seasonal, the cookies themselves are made from companies which continue to make them despite GSC season ending…. just under a different name? If you didn’t know that, you do know. Keebler makes a whole line: Thin Mints = Grasshoppers, Samoas = Coconut Dreams, Tagalongs = Fudge Shoppe Peanut Butter Filled. But, you know I cannot be trusted around them. Anyways, one of the things that makes Trader Joe’s wonderful is that they have contracts with the factories that make products and are able to do it for a fraction of the price… somehow. Someone explain their magic. Normally, when Trader Joe’s has a dupe of a product, they at least change the packaging. I mean, they used the same photo. The cooking directions were the same, the interior packaging was the same… I mean, seriously, someone explain their magic. Speaking of crazy magic and things that I need explained to me, get a load of this masterpiece. It is an ad for the plumbing fixture company Kohler. 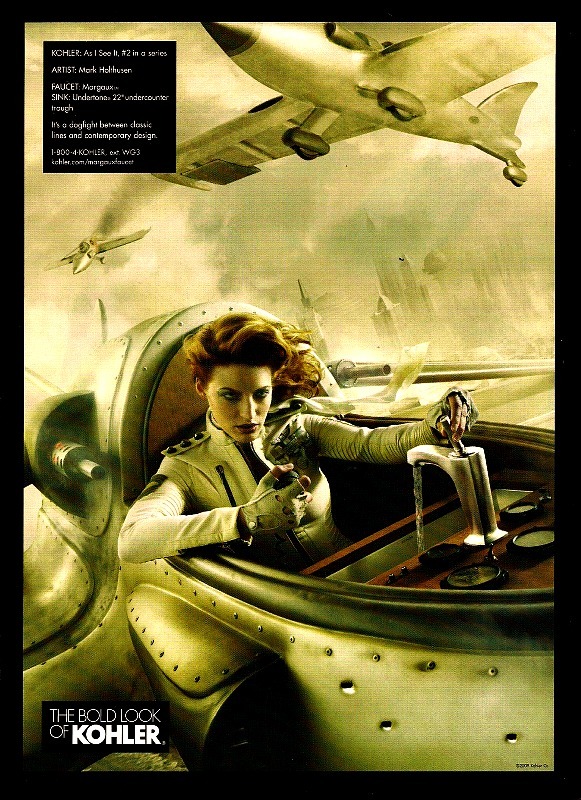 I have actually seen/admired/talked about their awesome advertising over at my personal blog… but I am always blown away by their advertising. Click here to see more of Kohler’s fever dream advertising. I mean, don’t we all want to get “paid like they do”? Is T-Mobo the new street drug? I am an old now, so, it could be a thing. I finally youtube-d it as suggested… and I like my fictional version of what universe this comes from better. 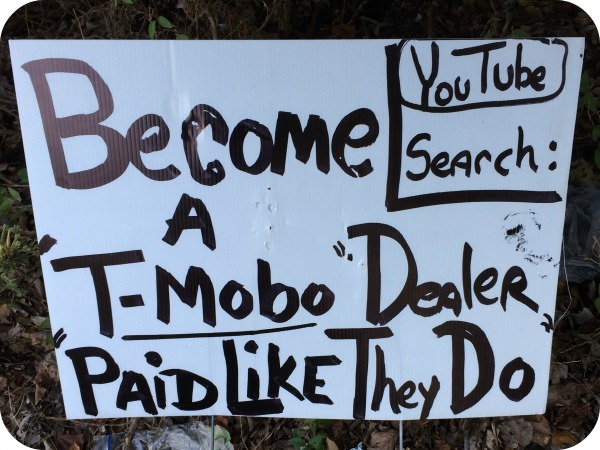 It turns out this is a money-making venture to become your own cell phone dealer. Splat. Tomato Time. Seems like I’ve been talking about tomatoes a lot lately. 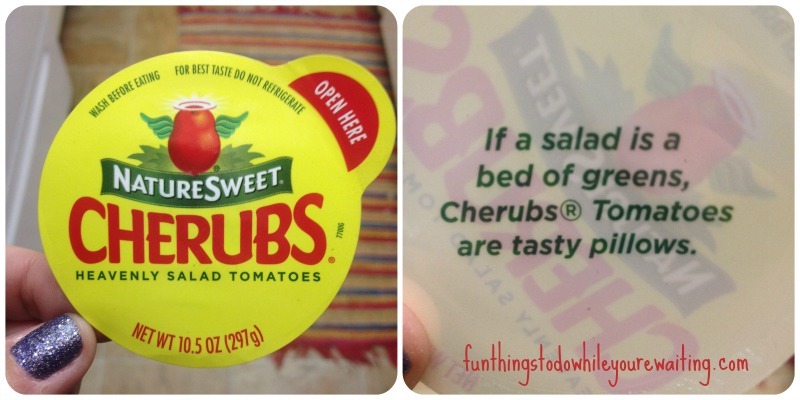 Recently though, when ingredients were procured for my new favorite zesty salad, I did a double take at the tomatoes packaging. This next tomato pic was found at our local grocery store. Nice try, Michelle Obama. I am all for kids and adults making healthier choices, but this seems a bit over the edge. 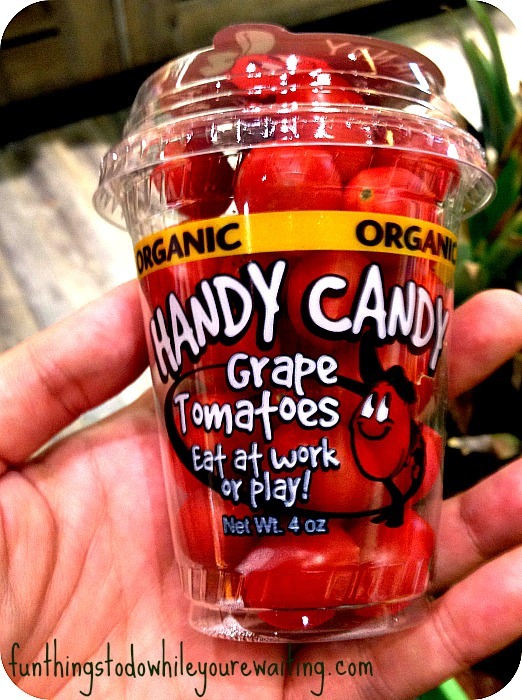 Again, I am all about popping some grape tomatoes as a snack… but, don’t call it candy. Grape tomatoes ARE a treat, and kids and adults should certainly eat them INSTEAD of candy… but… uggh. And lastly, this picture was taken at the airport (bastion of all bad food choices). I was lucky enough to have found The Varsity (a Georgia staple) at the airport food court (which was a treat) and got a packet of ketchup for my fries. Maybe my vocabulary is a problem. Maybe words like “candy” and “fancy” mean different things to everyone else… but WHAT about this ketchup is “fancy”? Is there a casual ketchup out there? 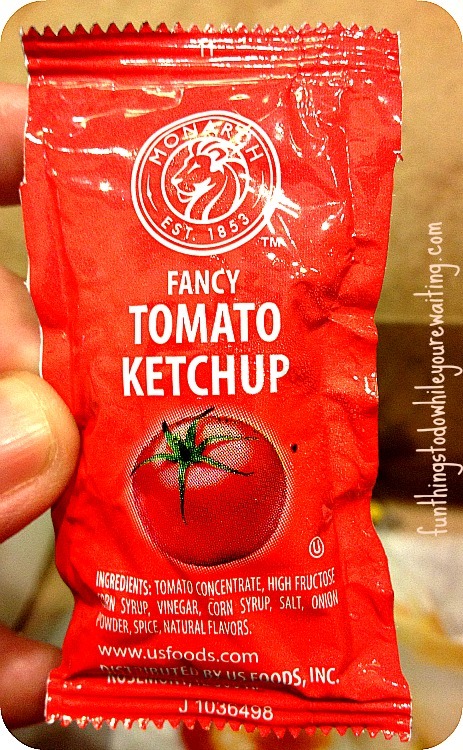 You want fancy ketchup? I gotcha. You’re welcome. Have a great weekend, you guys! And, as always, if you’ve got a fun foto, send it in! Fun Foto Friday Time! Funny Foto Friday It’s Friday! Time for Fun Fotos!!! 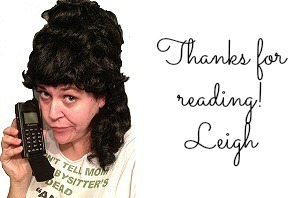 Thanks for the sweet shout-out! Fun Fotos R Fantastic! Aunt Janes are FANTASTIC! See you soon!